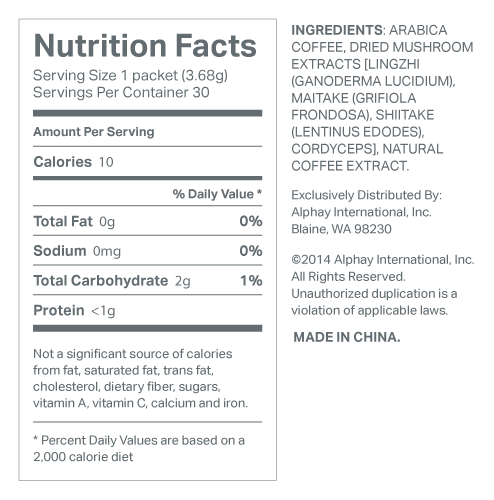 Infused with an exclusive, nutritional, four-mushroom blend, our black coffee promotes overall health and well being. Inspires balance from head to toe. 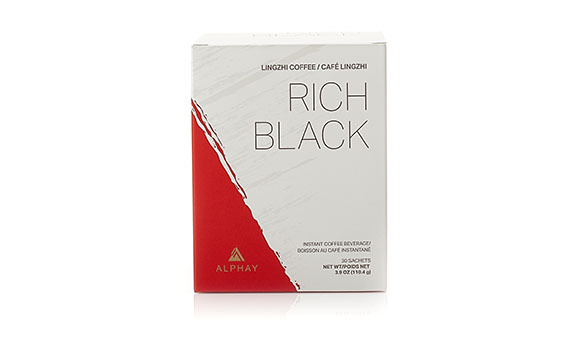 More than just basic black, Rich Black is a sensual drink experience. These statements have not been evaluated by the Food and Drug Administration. Alphay products are not intended to diagnose, treat, prevent, or cure any disease or class of diseases.